Keith Hann - Why Oh Why? : Am I the only one cheering for the iceberg during ITV's Titanic? Am I the only one cheering for the iceberg during ITV's Titanic? How different it might all have been if Sir Matthew Pinsent had been born a century earlier, so that he could have served as a lookout on the Titanic. One of his timely cries of “there’s something in the water” might surely have made all the difference, as they did to that witless protester’s chances of survival in the Thames on Saturday afternoon. Though the greatest risk was not that impressionable children might witness a well-deserved decapitation on live TV, but that the contest might be spoiled by one of the rowers breaking an oar in the process. As it was, that catastrophe was luckily averted, and … oh yeah. 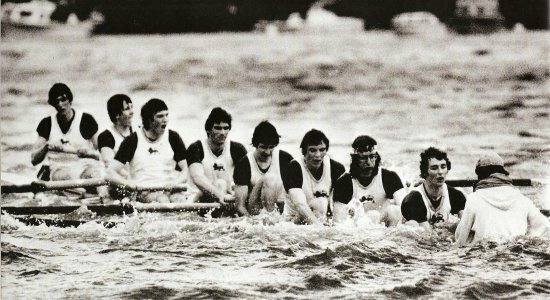 Until this Easter weekend I had never taken the slightest interest in the boat race, even though I grew up in a household where it was religiously observed on our tiny black and white TV. It was one of those annual events that my parents considered simply unmissable, like the Grand National (the only horse race on which they ever placed a bet). Yet the only thing I can remember from my childhood is some grainy footage of the 1951 Oxford boat sinking, endlessly recycled on compilations of great sporting disasters along with that bloke being pipped at the post of the 1948 Olympic marathon and the Queen Mother’s horse Devon Loch landing flat on its stomach at Aintree in 1956. Then came this Holy Saturday, when I was so desperate for a break from the sound of three small children wrecking my garden that I pulled the “I must support my old university” card from my pocket and settled down in blissful peace and quiet in front of the TV. It was certainly a memorable experience. And, what’s more, I only had to see it once. Unlike Julian Fellowes’ take on Titanic, which is apparently stuck in an endless loop where the same characters do much the same things to each other every week. The big surprise comes right at the end, when the ship sinks. Who could have seen that coming? Surely I am not alone in spending my recent Sunday evenings shouting “Come on, you iceberg!” at the TV? 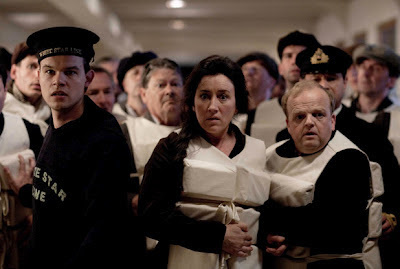 It is strange how Titanic has retained its hold on the popular imagination, despite the subsequent and infinitely greater human tragedies of the First World War. 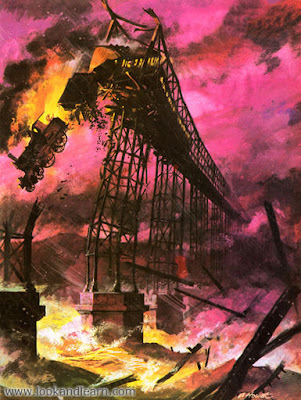 I do not recall any similar fuss being made on, say, the centenary of the Tay Bridge disaster in 1979. Come on Fellowes, it had first class passengers, too. Anyone for the memorial crossing? What we can say with certainty is that no one would currently be paying almost £6,000 for a cruise to retrace Titanic’s maiden voyage if it had ended safely in New York. 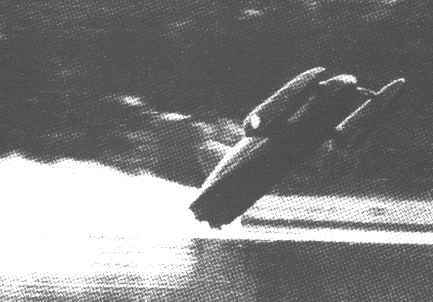 Just as few would remember Donald Campbell’s achievement if he had broken the world water speed record on Coniston in 1967, instead of becoming fatally airborne in Bluebird. Similarly, how many of NASA’s 135 space shuttle launches have lodged in the memory, apart from the Challenger disaster of 1986? Call me superstitious, but I would not wish to step aboard a Titanic memorial cruise at any price. 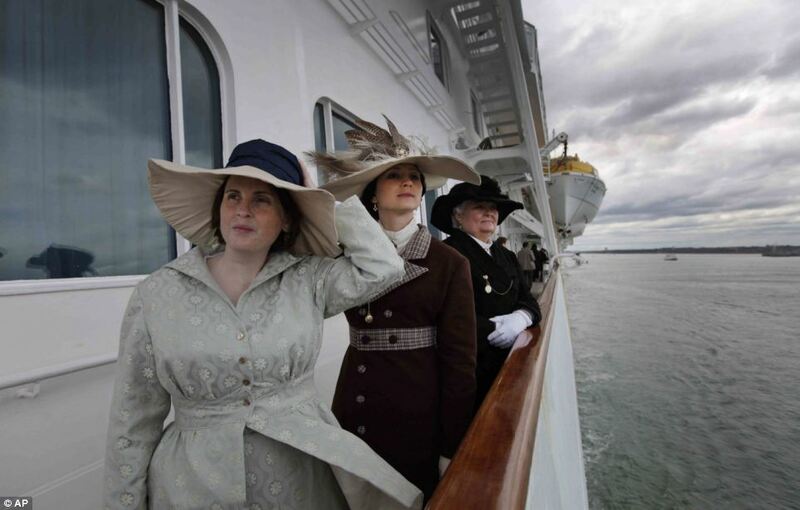 Though a century of progress in marine engineering meant that MS Balmoral had to leave Southampton two days earlier than Titanic because it cannot match its speed. This presumably reduces the chances of adverse consequences from any unanticipated encounters with sea ice. And if by some quirk history should repeat itself, at least the participants will never be forgotten. 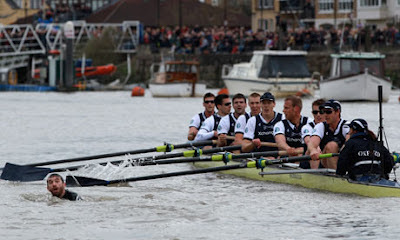 Just as the sore losers in the 2012 boat race may console themselves with the thought that they have come as close as any of us ever will to immortality. Because winners soon fade from memory, but people will surely be replaying footage of their tribulations on YouTube for decades if not centuries to come.